I am sometimes suspicious of how we employ our faith. Don’t get me wrong, faith is important to me, and I have given my life to it. But sometimes I treat my faith like it is a medicine cabinet or a pharmaceutical, going to it only when something is wrong, or if I am looking for a quick remedy. My head hurts,” so I go to the medicine cabinet looking for a pain reliever. “I have a stomach ache,” so I reach in for a spiritual antacid. “I feel so uncertain,” so I explore my therapeutic options. “I’m feeling a bit anxious,” so I look for something that will serve as divine Prozac. Certainly I am not the only one who does this – it is a common practice – and I’m not the only one to make this observation. Strangely enough (strange because rarely goes a Christian writer reference this man), it was Karl Marx who popularized this view, and this analogy would be incomplete without referring to his legendary quote. Marx said, “Religion is the opiate of the people,” and it appears he understood the medicinal, tranquilizing effects of religious faith fairly well. 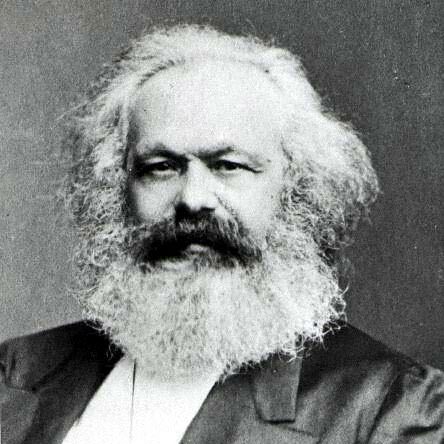 Now, before you write that letter to the editor or attempt to get your pound of flesh from this simple columnist, understand that I am no Marxist – not even close – I detest anything that smacks of coercion. But that doesn’t mean that some of Marx’s observations about religion were incorrect, even if his means of modification were suspect. Marx felt that religious faith did very little to actually help people. Rather than drilling down to the source of a person’s trouble, he claimed that religion only treated that person’s symptoms. It was a barbiturate that had a numbing influence, instead of resulting in empowerment. Faith in God, according to Marx, keeps the believer trapped in his or her current state, incapacitated, and prevents him or her from experiencing real, personal, substantial change. In short, Marx criticized the false relief that faith can bring – false because nothing ever really changes – and I find it difficult to argue with his conclusion. The faith that is peddled by many pulpits today is little more than a sedative. It helps people to forget their pain and suffering, helps them sleep at night, and keeps them hanging on for next week’s dose of tranquility; but it does very little to move people to a place of growing, spiritual health. Thus, we can easily succeed in converting our faith into a first-aid kit, only turning to it when something hurts, and leaving it in the cabinet otherwise. Yes, when life hurts I want relief. Yet, the real power of faith is not its ability to magically stop our pain or to provide a fix to get us through a rough spot. Faith simply doesn’t remove our troubles and worries, offering bubble-gummed-flavored baby aspirin and cartooned-band-aids. Rather, faith offers us a new way to live, an opportunity to change our lifestyle. It does more than medicate our boo-boos or make us happy when we have been made sad. On the contrary, faith has the power to transforms us, to shape and fit us for life, making us whole and well. It is possible to find great inspiration in our faith; to be comforted, reassured, and soothed, that feeling that, yes, we believe all the right things. Yet, if such beliefs do not have transformative power in our lives, then we do not have faith at all. Instead, we are addicted to a spiritual tranquilizer that blinds us to the reality of our world and the renewal God seeks to produce in our lives. ← What Is Wrong with the World?